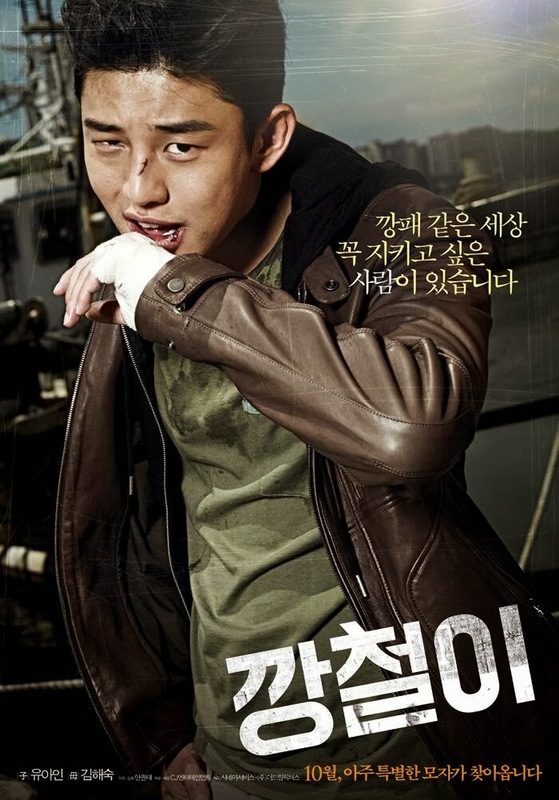 Gang Chul (Yoo Ah In) was the big shot in high school, the guy nobody would dare take on. Now he is working hard labour while running after his mother (Kim Hae Sook), trying to take care of her. She has Alzheimer's and often gets lost around in town while going around playing and getting lost in past. Gang Chul's friend Jung Soo (Lee Si Un) works with the mafia, as a dept collector. He as well tries to get by, doing any job he can. Unlike Jung Soo, Gang Chul doesnt want to have anything to do with the mafia as he believes they ruin people's life while promising them money. However his mother's state worsens and on top of that he reluctantly gets involved in a case of murder. As the movie starts, it has that nice feeling of a great movie. The lovely mother-son relationship makes the whole sadness seem just a bit sweeter. There are a bunch of nice scenes and as a fan of Ah In aah I really did enjoy it. However.... the whole mafia story was a bit weak or not so well portrayed. The whole idea makes sense yes but in the end, it didnt feel that well made. Might just be me and my high standards when it comes to action/gangster stuff. The movie though, not bad. But not amazing either. Not the first movie I would recommend but if you are a fan of Ah In then yes go ahead and watch it. It has sweet moments, sad moment (like you really want to cry when it comes to the mother-son thing) and action as well. The friendship though I think it was a "bad" friendship I can pretty much say it is realistic as to thats what would happen most likely.